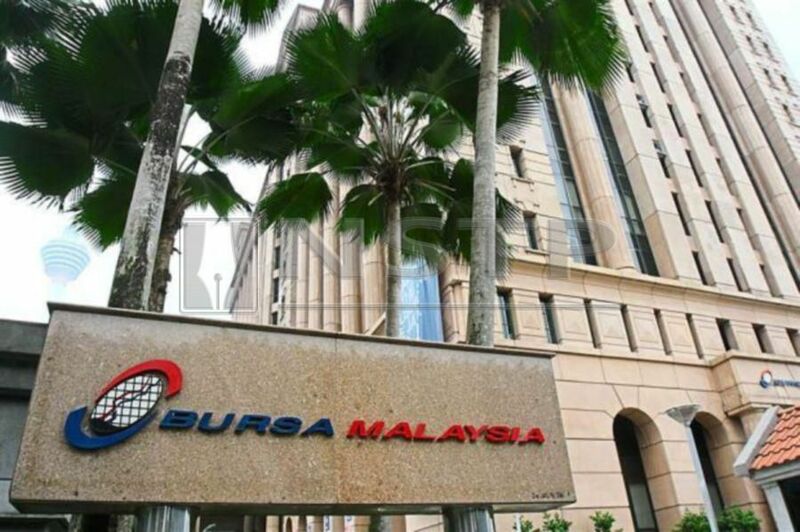 (File pix) At 9.05 am, the benchmark FTSE Bursa Malaysia KLCI (FBM KLCI) slid 3.39 points to 1,718.03 from Thursday’s close, which saw it climb 6.54 points to 1,721.42. KUALA LUMPUR: Bursa Malaysia erased gains from yesterday to open lower this morning as the market absorbed news on Petronas’ outlook downgrade, as well as profit-taking activity ahead of the weekend. At 9.05 am, the benchmark FTSE Bursa Malaysia KLCI (FBM KLCI) slid 3.39 points to 1,718.03 from Thursday’s close, which saw it climb 6.54 points to 1,721.42. The index had opened 2.14 points lower at 1,719.28. On Bursa, the broader market saw losers outnumbered advancers 105 to 71 with 171 counters unchanged, 1,507 untraded and 22 others suspended. Volume stood at 82.3 million units valued at RM39.91 million. Among heavyweights, Maybank lost two sen for RM9.30, PBBank declined eight sen to RM24.62, while Tenaga and PChem were flat at RM14.94 and RM9.70. For actives, TatGiap bagged 1.5 sen to 22.5 sen, Sanichi rose one sen to11.5 sen, Revenue gained six sen to RM1.31, while Nexgram. SapNRG and Vivocom were flat at two sen, 36 sen and 2.5 sen respectively. The FBM Emas Shariah Index dropped 14.96 points to 12,109.44, the FBM 70 was down 24.46 points to 13,936.45 and the FBM Ace Index rose 7.46 points to 5,020.24. The FBM Emas Index was 22.55 points easier at 11,918.27 and the FBMT 100 Index edged down 22.60 points to 11,758.07. Sector-wise, the Financial Services Index was 32.94 points easier at 17,264.09 and the Plantation Index eased 0.84 of-a-point to 7,368.39, but the Industrial Products and Services Index was 0.12 of-a-point better at 175.32.